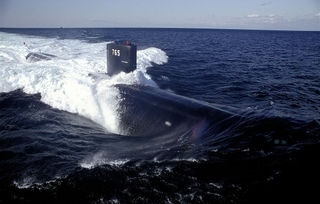 NEWPORT NEWS, Va., March 20, 2006 (PRIMEZONE) -- Northrop Grumman Corporation (NYSE:NOC) was awarded a contract from the U.S. Navy for work to support the Los Angeles, Ohio, Seawolf, and Virginia-class submarines. The total estimated value of the contract is approximately $248 million for work performed through 2008. Approximately $59 million is designated for work to be performed in 2006. Northrop Grumman's Newport News sector is the prime contractor for the work, which will include planning, engineering and logistics support for new, operational, conversion and decommissioning submarines. Examples of work include maintaining and altering ship class drawings, maintenance analysis and modernization and repair services. As one of only two U.S. shipyards capable of building nuclear-powered submarines, Newport News is the design agent and hull planning yard for the Los Angeles-class submarines and the lead design and co-planning yard for the Seawolf-class submarines. The sector also provides mobile submarine modernization and repair services at naval shipyards, fleet homeports and around the world as required. "We have been providing critical engineering and planning yard services to our nation's submarine force for more than 25 years," said Becky Stewart, vice president of the submarine program at Northrop Grumman Newport News. "We are committed to not only building the most advanced submarines in the world, but also to maintaining them throughout their lives."